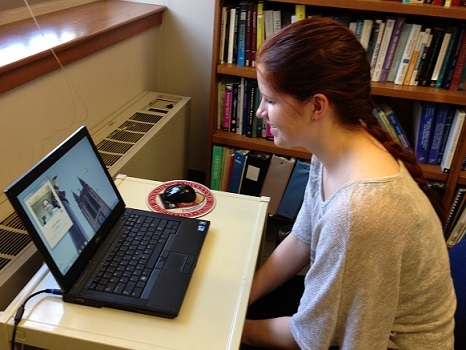 Camera Mouse is a program that allows you to control the mouse pointer on a Windows computer just by moving your head. Clicking can be done by making the mouse pointer dwell over a spot on the screen. The main audience for this program is people who do not have reliable control of a hand but who can move their head. People with Cerebral Palsy, Spinal Muscular Atrophy, ALS, Multiple Sclerosis, Traumatic Brain Injury, various neurological disorders use this program and its predecessors to run all types of computer software. 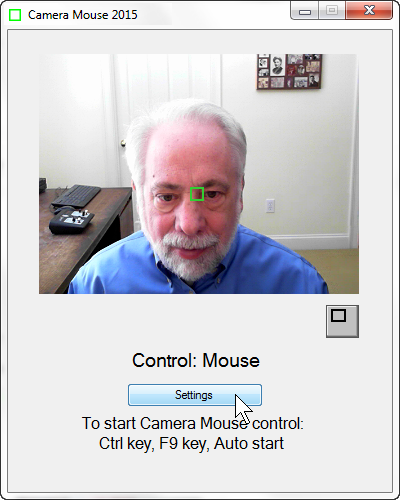 Camera Mouse works as a mouse replacement system for Windows computers so it should work with just about any application program. For example people use Camera Mouse with entertainment programs, education programs, communication programs, web browsers, and so on. Camera Mouse works best with application programs that require only a mouse and a left click and that do not have tiny targets. It's easier to use Camera Mouse with application programs that do not require extreme accuracy. All Camera Mouse reviews, submitted ratings and written comments become the sole property of Windows 7 download. You acknowledge that you, not windows7download, are responsible for the contents of your submission. However, windows7download reserves the right to remove or refuse to post any submission for any reason. Windows 7 Download periodically updates pricing and software information of Camera Mouse full version from the publisher, but some information may be out-of-date. You should confirm all information. Using warez version, crack, warez passwords, patches, serial numbers, registration codes, key generator, pirate key, keymaker or keygen for Camera Mouse license key is illegal and prevent future development of Camera Mouse. Download links are directly from our mirrors or publisher's website, Camera Mouse torrent or shared files from free file sharing and free upload services, including Rapidshare, MegaUpload, YouSendIt, SendSpace, DepositFiles, DivShare, HellShare, HotFile, FileServe or MediaFire, are not used.